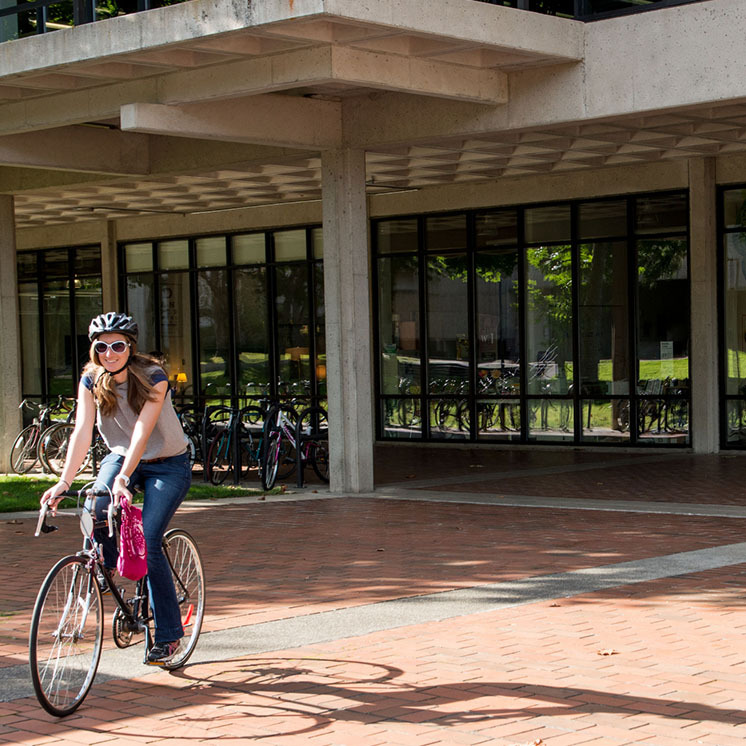 As one of the few public liberal arts and sciences colleges in the nation, Evergreen offers tuition that is approximately $6,800 per year for Washington residents and $25,000 per year for out-of-state residents. You could spend more than $50,000 per year at a private college to get the high caliber of education Evergreen offers. Beyond cost, no other college prepares you better for the way the world really works, unlocking lifelong opportunities for success in careers, service, graduate school, and beyond. We encourage all students to apply for scholarships & tuition awards and financial aid every year, which will help reduce tuition costs. The graduate degrees in Environmental Studies, Public Administration, and Teaching have different costs, financial aid, and scholarship processes. Evergreen’s unique curriculum makes us one of the most transfer-friendly colleges in the nation. Most likely, we can transfer nearly every credit you’ve earned at another institution or through exams such as AP and IB. The cost of attendance is more than just tuition. As a Greener, your annual budget includes tuition, books and supplies, room and board (regardless of where you live), transportation, and personal expenses. Estimate your cost of attendance with the Freshman Net Price Calculator or Transfer Net Price Calculator. This table shows the tuition for a typical full-time student taking 12 to 16 credits each quarter. The costs cover the nine-month academic year (three quarters) beginning in September and ending in June. *Student fees are not included in tuition. Some fees are based on the number of credits you take each quarter. Some programs may have special fees for supplies or travel. Financial Services maintains a comprehensive list of student fees. We are committed to helping you and your family afford a college education. During the 2016–2017 academic year, 62% of Evergreen students received some form of financial aid. The average award was $12,210. You may be eligible for aid, including grants, work study, and loans. You must file a financial aid application every year to be considered for aid. If you are admitted before March 15, you are automatically considered for a Scholastic Achievement Award for your first year at Evergreen. The value of the tuition waiver is based on your grade point average. Scholastic Achievement Awards may cover 12–47% of your tuition. Each year we also accept applications for more than 100 scholarships open to new and continuing students. Awards range from enough to help with books to the full amount of resident tuition. Apply by February 1 each year. Review and apply for scholarships. Pay tuition, meal plans, fees and more with secure online Web Payment.